A sad love song in the voice of Arijit Singh featuring Suha Gezen, Aniruddh Dave, Hiten Tejwani. The video of this song is available on YouTube at the official channel Zee Music Company. This video is of 2 minutes 34 seconds duration. 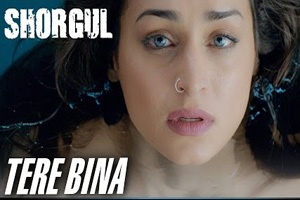 Lyrics of "Tere Bina Jee Naa Lage"
Lyrics in Hindi (Unicode) of "तेरे बिना जी ना लगे"